For the third edition of this volume a number of changes have been made. The Old English material has been substantially revised and expanded, including new translations by Roy Liuzza of Deor, Wulf and Eadwacer, and The Battle of Brunanburh. A selection from Adrienne Williams Boyarins new translation of The Miracles of the Virgin will be included, along with Sian Echards translation of selections from Y Gododdin. Matthieu Boyds translation of the first two branches of the Mabinogi is also new to this edition, together with several Early Irish lyrics. The Love and Marriage Contexts section has been expanded to include additional material by Christine de Pizan and excerpts from Holy Maidenhood, and the Religious and Spiritual Life Contexts section now includes excerpts from Wycliffite writings. The selection of material by Sir Thomas Malory has also been substantially revised and expanded. 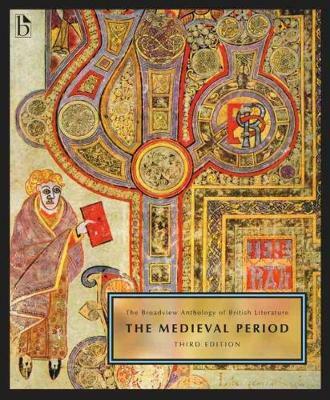 In addition, the online component of the anthology includes several new selections, including The Gifts of Men, The Fortunes of Men, The Feast of Bricriu, material by Robert Henryson, and a broader selection of medieval drama.